Have you ever been concerned about a family member or friend’s alcohol or drug use, or had a feeling that something is just not right? If you think there is a problem, then likely there is. In order to understand how addiction can affect family members and friends, we first have to understand what addiction is. Addiction is a chronic disease that is progressive, and far too often, fatal. It is believed that addiction is caused by a combination of biological, psychological and environmental factors. Recovery is an ongoing effort, and it is a process that requires the support of other people in recovery. Once someone is in recovery, relapse is always possible. Recovery is not just maintaining sobriety. In sobriety, addicts stop using, but problems still remain and often get worse. There isn’t one definition of recovery, but it is a process of building a new life through sobriety, and making necessary life changes including health, behaviors and lifestyle. Relapse is a progression that begins long before the person picks up alcohol or drugs. It begins by slipping back into old behaviors and thought processes. A common question: “Is it a relapse if the alcoholic or addict uses another drug?” A drug is a drug is a drug. Look at it this way. If someone is an alcoholic, and they only drank beer, but after six months of sobriety, they start drinking vodka, did they relapse? Of course they did. It doesn’t make any difference what mood altering drug, including alcohol, is chosen; it is still a relapse. To think that you or someone you know hasn’t relapsed because they chose another mood altering drug is called denial. Denial is a defense mechanism used to avoid something that is uncomfortable. We have all used denial at some time in our lives. It is an automatic response to fear of looking bad, or used to avoid unpleasant consequences. Think about when you were a child, and were caught taking a cookie before dinner. Your immediate response might have been to say, “I wasn’t taking a cookie,” or “I just wanted to see if we had any left.” In addiction, denial may be used to avoid giving up a dependency you feel you can’t do without, or are not ready to do without. In addiction, denial can come from the addict, family or friends. It can be expressed through many forms of rationalization – dishonesty, self-deception, excuses, or justifications. Through all this denial, the person actually believes that they don’t have a problem, it is under control, or the problem is not that bad. It is as if they have blinders on. How Does Addiction Affect the Addict’s Family and Friends? Family and friends may be in denial about the seriousness of the problem, potentially putting the addict or others in danger, for example knowing that they are driving under the influence. Walking on “eggshells” because the thoughts and feelings of the family are controlled by the rapidly shifting moods of the addict, often destroying the family unit. Family and friends being burdened by the addict’s constant state of chaos and problems caused by the addict’s addiction, for example losing their job, financial problems, relationship issues, fluctuating moods, etc. Children overcompensating for confusion and chaos in the family by possibly over achieving in school or acting out. Addicts are preoccupied with their alcohol and drug use. Their life revolves around it and they isolate from friends and family. Addict’s continuous lying and manipulation breaks down trust, and relationships are lost. 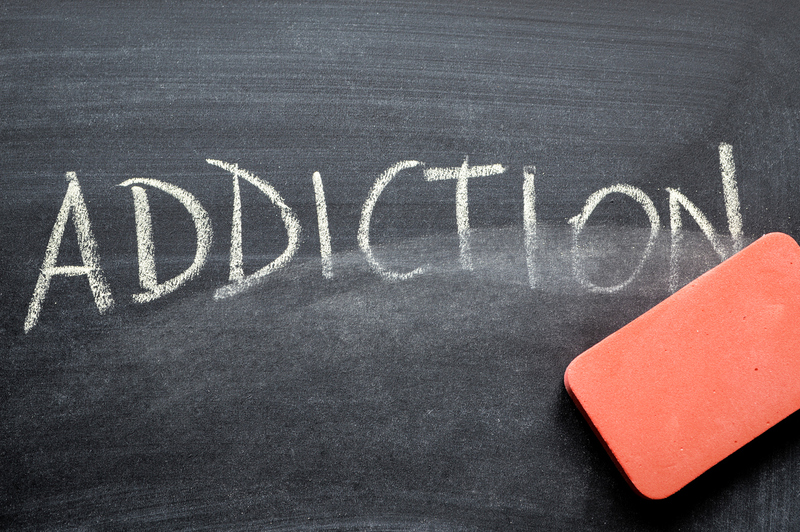 Everyone knows the addiction exists, but no one talks about it, causing a constant stressful and tense environment. Family members and friends begin to enable the addict by shielding the addict from experiencing the full impact and consequences of their behavior. Enabling is different from helping and being supportive in that it allows the enabled person to be irresponsible and continue with their behavior. Sometimes the best way to help an addict is to stop helping. What we believe is “helping” may actually be hurting the addict in the long run and prolonging the illness. For example, each time you give someone money, or call their boss because they are hung over or under the influence, you keep the addict from feeling the consequences of their behavior. By providing this safety net, the addict never needs to take responsibility for their actions, and therefore doesn’t feel the need to get better. The addict will not get help if you keep bailing them out of their problems. As hard as it is, sometimes the best thing you can do is take care of yourself, and let the addict suffer the consequences of their behavior, take responsibility, and make the choice to get help. For assistance, please contact the Lawyer Assistance Program for free, confidential counseling. We have a network of counselors throughout Maryland. Jim Quinn, Lawyer Assistance Director, (443) 703-3041, jim@msba.org; Lisa Caplan, LCSW-C, Associate Director of the Lawyer Assistance Program, (443) 703-3042, lisa@msba.org. 24/7 Toll Free 1(888) 388-5459.